In the mid-20th century, the Western powers partitioned West Africa, and other parts of the African continent, into nation-states that had nothing in common with each other apart from geographical proximity. The general consensus among the Muslims in fragmented West Africa was that the West won over the vast Caliphate not by the superiority of its idea or civilization but by its sheer superiority in organized violence. This reasoning plays into the hands of extremist Islamic groups today. There has been no way for people to reject the past Empire and Caliphate in West Africa as failed systems because they were not replaced by better systems. Whatever democratic values were handed to these newly independent states were short-lived, trampled by military incursions. Military leadership suppressed freedoms in every aspect. This in itself served as a gag to protest the rule of any aspiring terror group. Now Africa, especially West Africa, would like to democratize. 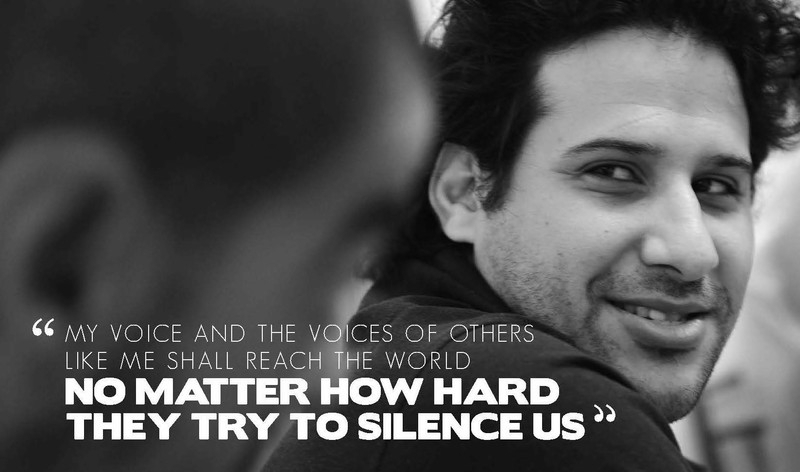 Amid the madness of terrorism, it is calling for freedom. But is anyone listening? Great civilizations existed in northern Nigeria before the West ever set foot there. The Kanem Bornu Empire (700-1900) stretched to present-day Chad, Libya, Niger and Cameroon, and was bound by trade and ethnic similarities and religion. Present day Northern Nigeria is home to the large Hausa ethnic group. The Hausa language is spoken by more than 50 million people across the present-day Sahel (north Central Africa, spanning much of Niger, Nigeria, Cameroon, Ivory Coast, Togo, Chad, and Sudan). Hausa is still the region's second language of trade; the primary languages come from the region's colonizers: English, French and to a degree, Arabic. In the early 19th century, a towering Islamic figure, Sheikh Uthman ibn Fodio (1754-1817), emerged in what is now northwest Nigeria. Although of ethnic Fulani extraction, he galvanized support across the Hausa-dominated regions and parts of the old Kanem Bornu Empire. In this multi-ethnic region, he had a uni-directional purpose: Islamic evangelism, imperialism and dominance. He ended up creating an Islamic Caliphate. In the mid-20th century, the Western powers partitioned West Africa, and other parts of the African continent, into nation-states that had nothing in common with each other apart from geographical proximity. The ethnic groups that made up the old order still consider themselves as distinctive nations, regardless of the fragmentation of the Caliphate into multiple nation-states. Under such splintering, it was easy for the ideas of Islamists Sayyid Qutb or Osama Bin Laden violently to re-order the region through Jihad to reverberate and gain a following. Although shattering the Caliphate succeeded in collapsing it geographically, the general consensus among the Muslims in the now-fragmented Caliphate was that the West won not by the superiority of its ideas or civilization, but by its sheer superiority in organized violence. This reasoning has played into the hands of extremist Islamic groups such as Boko Haram and Al-Qaeda, as they galvanize support across the region. These new groups also exploit thorny and delicate issues such as casting a negative obsession with Israel and its sovereignty as a way to unite Muslims, as many Islamic groups have been doing for decades. 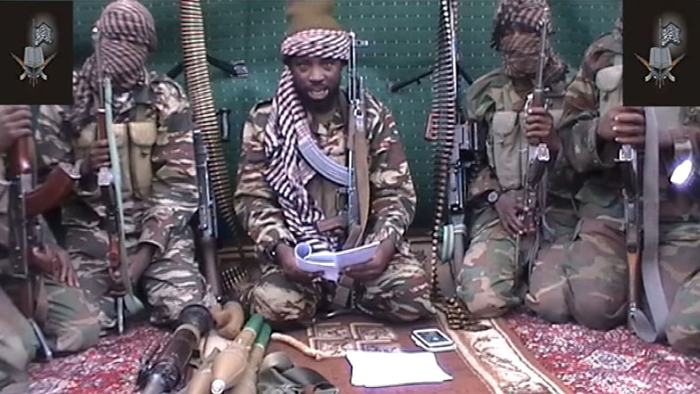 Boko Haram leader Abubakar Shekau (center) in one of the group's propaganda videos. Above all, there has been no way for people to reject the past Empire and Caliphate in West Africa as failed systems because they were not replaced by better systems. In the mid-20th century, most of the West African colonies were given independence. Whatever democratic values were handed to these newly independent states, however, were short-lived, trampled by military incursions. Military leadership suppressed freedoms in every aspect. This in itself served as a gag to protest the rule of any aspiring terror group. Now Africa, especially West Africa, would like to democratize; amid the madness of terrorism, it is calling for freedom. But is anyone listening? The worsening of environmental conditions in West Africa have increased the rate of violent crimes. Desertification and the shrinking of the Chad Basin have significantly affected the means of livelihood of tens of millions of people in this region. There is simply less arable land and grazing land. This has immensely contributed to the increasing number of unemployed youths. As a result, many have turned to joining various terror groups. Others go into cattle rustling. ECOWAS member states should encourage the spread of modern agricultural methods that work with limited supplies of water -- a specialty of Israelis -- and revive the Chad Basin so as to boost trade. That would deplete the pool of people from which terror groups get easy and unquestioning recruits. Each country in West Africa should strengthen their various "transitional justice mechanisms." This is paramount for Ivory Coast and the Central African Republic, which recently experienced violent civil strife with religious undertones. Such upheavals are created and exploited by various terror groups. Committees and courts of law should be put in place to handle matters of genocide, secular education, rule of law, equal justice under law, property rights, freedom of expression, separation of religion and state, and also establish "truth and reconciliation" commissions to heal past wounds. Taking a cue from the Gacaca Court in Rwanda would be helpful. Islamic clerics should be included in this exercise. It will be an adventure in futility if this critical group is neglected, because a single sermon from a revered preacher could roll back whatever gains are achieved. Some clerics may see any improvement in the economy as a threat to their hegemony, and any democratic values as a threat to their power, but many moderate clerics have been killed by Boko Haram, as well. In essence, there should be room for reward and sanction. A preacher is responsible for any incitement they engage in -- on or off the pulpit. Kaduna State in northern Nigeria is proposing a bill to license preachers. A highly motivated joint military task force comprising all member states should be established to patrol the porous regional borders -- especially the borders between Mali and Libya. The ECOWAS Community Court should be empowered to deal with cross-border crimes and the prosecution of terrorists. So far, this court is merely an expression on paper. Financial institutions. After the 9/11 attacks, there were calls in banking institutions for "due diligence" and "know your customer" in opening accounts. This forced terrorists to go underground and use the informal system of hawala. One can bring cash to a hawala broker in Lagos, and a designated person can collect the same amount from a money broker in Jos. Terror groups still use this medium to fund their operations. David C. Faith at Global Security Studies estimates that over $7 billion enters Pakistan through the hawala system every year. The true number is likely higher. And because of hawala's unregulated nature, it is impossible to verify the amounts used to finance terrorism. Worries about terror financing led the Central Bank of Nigeria to strengthen its anti-money laundering laws. Transactions above the threshold of $5,000 for individuals and corporations are flagged, and details sent to Nigerian security services on a weekly basis. PILLAR ONE -- PREVENT: It constitutes the central pillar of the strategy. Its main goal is to prevent terrorism before it occurs based on the concept of "DID" -Detect, Intercept and Deter. PILLAR TWO -- PURSUE: The second phase of actions seeks to ensure timely and effective responses to terrorist acts. It is anchored on military and non-military approaches to terrorism, as well as the criminal justice system. One of the key objectives of this pillar is to eliminate impunity and ensure that all those who participate, support, finance and facilitate terrorists acts, whether directly or indirectly, are investigated, prosecuted and punished to the limit allowed by the law. PILLAR THREE -- REBUILD: seeks to restore society and re-assert the authority of the state after terrorist attacks. This strategy is based on regional and international cooperation including mutual legal assistance to meet the shortfalls and disparities in states' capabilities. Above all, it requires cooperation in the areas of intelligence, investigation, prosecution and counter-terrorism. The success of the Nigerian military in recent months is an indication that a coherent and enduring policy can see the end of these terror groups. In 2015, Muhammadu Buhari was elected president in the hope that he could repeat his success. Unfortunately, Iran's nuclear deal has emboldened the terrorists, and the Kingdom of Saudi Arabia has also been increasing its presence in Nigeria by sponsoring Sunni clergymen in their institutions of learning. Military campaigns alone cannot bring a lasting solution to terrorism in the West African sub-region. The political will seriously to address the issues above will make joining these criminal and heartless groups far less desirable. All of these proposed solutions sound good, but they are top down and thus will not succeed if the popular support from the citizens is not sufficiently grounded in the ethics and mores necessary for self rule. The author mentions Islamic clerics having a role in this, but what about Christian missionaries? The ethics and mores inculcated by Judeo Christian teachings is what allowed Western Civilization to rise above the ashes of feudalism and solidly establish Democratic freedom because the citizenry policed themselves even more effectively than the governments under which they lived. Alexis de Tocqueville made that abundantly clear about both Europe and the US in his 'Democracy in America'! Does the author believe that Islam, even so called 'moderate Islam' would provide that necessary foundation?! Islam is totally anathema to self rule! Yes, the governments laws were and are a necessary constraint, but without a measure of self policing, democratic rule will not succeed. So while the top down suggestions are a step in the right direction, I would hope someone ... in fact many someone's with a knowledge of what 'self rule' requires of a people, will be working diligently, right along with the people! By strengthening one heart and one mind at a time, and instilling the twin maxims of 'self' and 'brotherly love', under the mantle of the one true God of all creation ... that will do more to suffuse the society of Western Africa with the rock solid principles on which a lasting civilization may rise, than anything else!